Since people keep commenting about this there are TWO different versions of this movie. When I was little this was the ONLY version I ever saw. I think the other version is something that Japan did. But if you don't like this version then you don't have to watch it. Simple as that. One of my favorite movies from when I was a kid. Each year, three brothers, Samuel, Jeffrey and Michael Douglas visit their grandfather, Mori Tanaka, for the summer. Mori is highly skilled in ninjutsu, and for years he has trained the boys in his techniques. 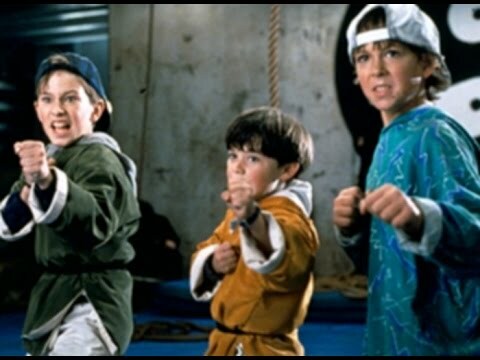 After an organized crime ring proves to be too much for the F.B.I., it's time for the three ninja brothers! Using their martial artistry, they team up to battle the crime ring and outwit some very persistent kidnappers!